People obviously focus on federal law when obtaining suppressors, short barrel rifles, machine guns, etc., because these firearms are regulated by a federal agency (BATFE) under the National Firearms Act (NFA). State law is usually ignored except to confirm NFA firearms are legal to possess in a given jurisdiction. Unfortunately, people often overlook the importance of state law concerning the duration of their NFA trust. What's worse is that most gun trusts are designed to terminate regardless of whether state law would allow a trust to continue. 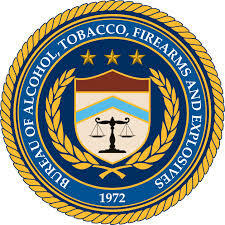 On April 3rd, ATF announced a major reorganization of the NFA Division. This could be significant news because outside observers have been looking for some indication of what would happen to the NFA Division after it completes its current backlog of applications for NFA firearms. The backlog is a result of the rush of applicants who submitted NFA registrations before the executive action known as '41F' took effect on July 13, 2016--and thereby avoid fingerprinting and photographs. Industry observers were concerned ATF would reduce personnel of the NFA Division once the 41F backlog declines. Thus, the current low volume of post-41F applications could experience the same slow processing times becuase NFA Division would have fewer staff. Instead of a reduction, ATF announced the creation of two branches within the NFA Division. The Industry Processing Branch (NFA IPBD) will process applications from the private sector. The Government Support Branch (NFA GSB) will handle SOT applications, government applications, law enforcement, etc. Additionally a new NFA Division Staff Program Office will handle inquiries, data collection, and FOIA requests. ATF's objectives? Better oversight, reduced processing times, and efficiency. Time will tell. Currently, the firearms industry, particularly the silencer segment, is experiencing a steep decline in demand. Bargains are becoming more frequent. Once the public observes quicker NFA approvals from ATF, demand for silencers, etc., will increase, and the bargains will disappear. Consequently, this could be the right time to buy NFA firearms to take advantage of lower prices and faster approvals. 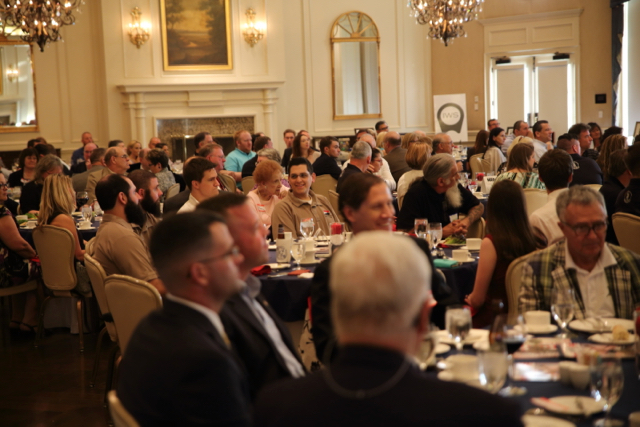 Come to the National Capital Friends of NRA banquet on May 18! We continue to receive questions about 'solvent traps' ostensibly sold as kits attached to a gun's muzzle to catch cleaning materials and debris. In January of this year ATF stepped up enforcement by shutting down solvent trap companies because, ATF alleged, they had intended the solvent traps to be silencers. Like wrist braces, Can Cannons, and silencer wipes, this is another case of ATF flip flopping. The public must stay informed about ATF policies. An item assumed to be legal to buy today, could later be recategorized as an NFA firearm requiring registration. The stated intent of a solvent trap is to catch and trap gun cleaning solvent during bore cleaning operations commonly performed on firearms. Solvent traps do attach to the muzzle of a firearm but do not have any design features intended to allow a bullet to pass through them. Since as originally manufactured they are not intended to silence, muffle or diminish the report of a portable firearm they are not silencers as defined in 18 U.S.C. 921(a)(24) and thus also are not firearms as defined in 18 U.S.C. 921(a)(3) or 26 U.S.C. 5845(a)(7). 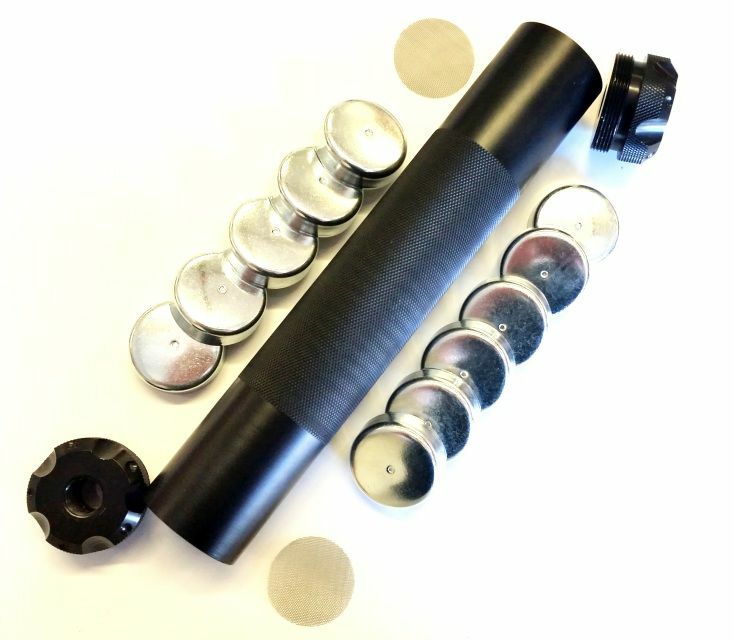 However, if the solvent trapped was redesigned or utilized to assemble a device for silencing, muffling or diminishing the report of a portable firearm or if intent was demonstrated to use the device for silencing, muffling or diminishing the report of a portable firearm, the solvent trap would be classified as a “firearm silencer” as defined in 18 U.S.C. § 921(a)(24) and as a “firearm” as defined in 18 U.S.C. § 921(a)(3)(C) and 26 U.S.C. § 5845(a)(7). This issue demonstrates the burden on the public to keep alert of changes in ATF policy. To stay informed about firearms law and regulations, subscribe to Arsenal Attorneys email newsletter by completing the subscription form at the bottom of our home page. You can also follow us on Facebook. Details about the upcoming National Capital Friends of NRA banquet on May 18 in Arlington, Virginnia. The newsletter can be found online at this link. Arsenal Attorneys are proud to lead the volunteer committee for the second annual National Capital Friends of NRA (NCFNRA) banquet taking place on Thursday, May 18, 2017 at the Sheraton Pentagon City in Arlington, Virginia. The event will feature a VIP reception, entertainment, auctions, drawings, and games. Honored guests will include Congressman Dave Brat, Delegate Dave LaRock, Gemtech CEO Ron Martinez, Silencer Shop CEO Dave Matheny, National Sheriffs' Association Executive Director Jonathan Thompson, and Liberty Farm's Martha Boneta. In its first year, NCFNRA broke several records in fundraising for the NRA Foundation, a 501(c)(3) nonprofit organization offering grants for public interest grants, including youth shooting sports, law enforcement training, hunter safety, the National Firearms Museum, and more. This will be an even bigger and more exciting event to celebrate the Second Amendment. Contact Arsenal Attorneys if you wish to volunteer, donate, or sponsor the event. Tickets sold out last year well before the event, and we're experiencing stronger demand this year. Buy your tickets now at this link. We wanted to address the most frequently asked questions we receive concerning gun trusts. This information will be useful to a variety of people, especially if you're considering an Arsenal Gun Trust, if you're already an Arsenal Attorneys client, or if you need help with a gun trust you obtained elsewhere. Below, we'll address amendments to trusts, what to do if you're moving, how to register new NFA firearms under the new '41F' rules, and how to use a restatement to make a complete revision of your trust using our new Arsenal Gun Trust design--even if you're not already an Arsenal Attorneys client. Amendments. We often receive requests for help with amendments to gun trusts. We're happy to help prepare such documents. Common reasons for amendments include a move, a birth, a marriage, a divorce, a death--or any other major life change that could change your wishes about who may possess and/or inherit your firearms. Moving. Amendments most often come to mind when people move. If you move, you should make a written statement identifying your new address as the 'place of administration' of your trust. You should also submit ATF Form 5320.20 as required to report your new residence as the location where your NFA firearms are now located. Ignore the fact this form's title refers to interstate travel because it should also be used for permanent relocations, even inside the same state. You may handle these matters yourself, or we're happy to help you. We believe a cost-effective and preferred solution is a 'restatement' per below. Registering New NFA Firearms. If you wish to register a new NFA firearm, the '41F' regulations would likely require the fingerprints and photographs of other people in your trust. Since late January 2016 our Arsenal Gun Trust has used a new design to minimize the impact of 41F so only you need to provide fingerprints and photographs. Of course, you'll still want to use a trust so that others may have possession of your trust's NFA firearms and your beneficiaries may inherit the trust's NFA firearms without fingerprints, photographs, and a new tax stamp. Restatement. Instead of an amendment to add/remove people or update an address, and to obtain our new Arsenal Gun Trust before your next NFA registration, we recommend a 'restatement.' It's a complete revision of your existing trust using the new design of the Arsenal Gun Trust we launched in late January 2016. This is available to existing clients at a discount, and we can prepare a restatement for people who obtained a trust elsewhere. 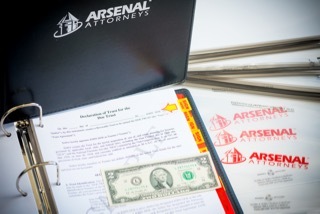 If you're not already an Arsenal Attorneys client, a restatement would establish an attorney-client relationship so you enjoy our services and support. These relationships have provided peace of mind to people who previously felt uneasy about the DIY trust they created without the help of a qualified attorney. Turnkey Package. Our popular Arsenal Gun Trust 'Turnkey Package' is pictured above. This kit organizes your Arsenal Gun Trust documents, and it can serve as the primary filing system for all documents related to your life as a gun owner. In this custom binder system you'll find tabs organizing your trust documents, amendments, tax stamps, receipts, warranties, training certifications, concealed carry documents, hunting licenses, and more. We also include LokSak tactical document bags to protect the trust and tax stamp documents you must store with your NFA firearms. Contact us if you'd like us to prepare a Turnkey Package for you. It will help simplify your life, and in an emergency your successors and beneficiaries will know they can find your important firearms records in your binder. Contact us to discuss your questions or needs related to gun trusts and NFA firearms. And remember, we can help you with estate planning, business matters, civil litigation, criminal defense, administrative law, personal injury and much more.